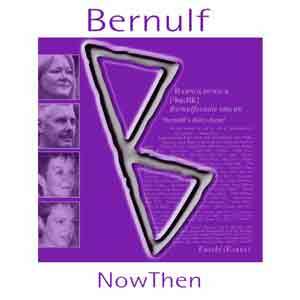 A CD produced by a folk group called "Now Then" based in Barnoldswick and Earby. I have added it here because one song in particular is dedicated to the men of the St. John Ambulance Brigade. The track is captivating, if not moving, especially when the names of the Barnoldswick men are read out towards the end of the song. For more information about the group and the lyrics follow this link. They reckon a bloke called Bernulf had a settlement, or ‘wic’ here in the 7th century. (The Domesday book has us down as Bernulfsuuic.) In the 12th century some Cistercian monks decided to build an abbey but the locals weren’t keen on the idea. So the monks upped sticks and built it at Kirkstall instead. After more than 1000 years in the West Riding of Yorkshire, the council administration of Barnoldswick (known to locals as 'Barlick'), Earby and surrounding villages was taken over by Lancashire in 1974. Many locals aren’t too keen about that idea either. This Barnoldswick cotton weaver wrote a fascinating diary in 1862 detailing the hardships caused by the short supply of raw cotton, owing to the American Civil War. When there was no work he would walk to the Yorkshire Dales with friends and earn money by busking. The refrain is taken from The Book of Job Ch. 7 v. 6 which the local vicar used for a sermon one Sunday. “Owd Billycock” was William Bracewell, Barnoldswick’s largest employer and landowner at the time. Inspired by the story of cotton spinners who, also in 1862, refused to handle any cotton produced by the American slave trade. As work was already in short supply this must have meant great hardship for them and their families. The song is a tribute to all those, past and present, who stand up for their beliefs at whatever personal cost. Moses Cudworth and his wife Eliza settled in Earby in 1892 to work in the cotton industry. Trouble was, they were both a bit too fond of drink and so they were always broke. Moses wasn’t happy to discover that Eliza was also taking the concept of Bed & Breakfast a little too far with their lodger. One day as Eliza was taking their daughter over to Barlick for some new clogs, he demanded money for booze. When she refused, he murdered her, took the money and calmly went into The White Lion pub for a quart of ale. The story of a young West Riding lass who, in 1907, fell for a lad from over the border – much to her parents’ dismay. You could also interpret part of the song as being a lament for the way Barnoldswick and Earby were ‘wed’ to Lancashire in 1974. In the early days of WWI, 15 Barlick lads were called up to serve on the hospital ship Rohilla. As she made her way towards France the ship was caught in a fierce storm near Whitby. War conditions meant that there was no lighthouse signal and although the captain had calculated he was seven miles out to sea, they were in fact only 600 yards offshore. The rescue was hampered by the severe weather and went on for two days. The song is a tribute both to the lads who lost their lives and to the brave people of Whitby who worked so hard to save them. 1926 was pre-NHS Britain, times were hard and an unplanned baby could cause much hardship for many a large family or an unmarried woman. In these circumstances they would sometimes seek help from Mary MacDonald. Sadly one woman lost her life and Mary was sent to Strangeways Gaol in Manchester. The famous flood of 1932 was caused by a massive storm over Weets Hill, which sent torrents of water and mud into the centre of Barlick. My mum (‘Little Edith’ in the song) says her earliest memory is that of seeing dead animals floating down the street, as the water swept through hen-pens and fields. And yes, round here the word “matter” does rhyme with “water”, OK? Our version of this wonderful song about the hill (almost a mountain!) which dominates the views around the area. Written originally by brothers Milton and Allen Lambert of Padiham, with a verse and music later added by Brian Osborne. Our very own hill is the place to go if you want a gentle chill-out with spectacular panoramic views. The gullies were formed when the water logged earth gave way and swept into Barlick in the aforementioned flood of 1932. That’s what the folk around Pendle Hill call dusk. Otherwise I haven’t a clue what this song is about. It just sort of happened. When Bancroft Mill workers turned up for work one morning in 1978 they found the steam engine which drove the looms hadn’t been fired up and the mill had closed down for good. However, the cross-compound engine with two cylinders, named after the mill founder James Nutter and his wife, was preserved and is now a museum attraction. This song won the Poynton Folk Festival songwriting competition 2003. Barnoldswick Tourist Information Centre, Post Office Buildings, Fernlea Avenue. Tel: 01282 666704. Gisburn Road Post Office, 61 Gisburn Road, Barnoldswick. Tel: 01282 812172. Time & Tune, 14 16 Victoria Street, Skipton. Tel: 01756 798515.